The Battle conjures up images of the 1 July - the “most disastrous day in the History of the British Army” with 57,470 casualties of which 19,240 were killed. The infamy lies in the fact that many of them were volunteers [V] in “Pals Battalions”, when friends joined up together - and then died together. However, this was only the first of 141 days when a series of battles were fought uphill with the German defences dug into indestructible concrete defences at the top of the ridges. In July the ‘Tommies’ struggled from Albert to High Wood in five official battles, suffering 196,081 casualties including 12 Tewkesburians. No county battalions were involved in that first day but some local men were killed fighting for other battalions: Rifleman John Walker [TA], a 41 year old with the London Regiment and L/Cpl. G. M. Topham [V] a former Grammar School boy serving with the 12th (Sheffield City) Battalion. Like many he survived the first day but died later of wounds. It was 3 July before the 8th Gloucesters [V] reinforced a stalled attack, costing the lives of two of the first volunteers from the Watson Hall: friends Ptes. L. Rossell and H.E. Rowley [V]. Victory adjacent to the high village Contalmaison took 12 gruelling days. Land was gradually captured but losses occurred defending these successes: Gunner W.A. Day [V] was "blown up among the horses. It was 19-20 July when the first local Territorial Battalion, 1st/5th Glosters moved into the attack but only at La Boiselle, which it failed to capture and “lost heavily” including Sgt.Henry Cook [TA]. 23 July 1916 was, however, the blackest day for Tewkesburians with 5 killed attacking well-defended high points. The 8th Glosters had reached High Wood but lost the son of the Grammar School headmaster, Lt. S.N. Priestley [TF]. Pte. 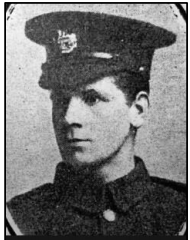 P. C. Hawker [TF] succumbed at Delville Wood while Cpl. Austin C. Papps [TF] (son of a leading shop owner) and Pte. T. Parrott [TF] were killed fighting for Pozières Ridge. There was nearby a concrete stronghold attacked by the 10th Gloucesters, volunteers who had survived Loos in 1915; they lost L/Cpl. A. E. Wilkes [V]. The end of the month saw the 8th Gloucesters still in the thick of it, losing the grandfather-in-law of Cliff Burd, Cpl. Joseph Walker [V], a week later on 30 July 1916. There were still 110 days to fight in the Battles of the Somme with our town losing 16 more of our Noble Band of Heroes. Progress at the Somme was always slow but the battles of August reflected a consolidation of ground captured in the face of ferocious German counter attacks. No new battles started in August but both sides wished to command the higher ground. Bazentin Ridge had (in theory) been captured on 17 July but, on 1 August, Pte. W. H. Sheldon [V] was one of “a large number of men buried by HE (High Explosive) shell”. His death was not confirmed until 3 March and his body - like so many - was never recovered. (His brother, a Regular was badly wounded in August and was tended by Tewkesbury Nurse, Miss M.E. Merell.) Boer War veteran Sgt. L. V. Mann [R] suffered a similar fate when a local attack tried to capture a remaining German trench. The 10th Gloucesters were still trying to capture that same concrete strongpoint and Pte. James Jeynes [V] disappeared in another unsuccessful attack. After fighting in all the major battles of 1914-15, what was left of our regular 1st Gloucesters had been rested until 20 August, when more troops were needed to hold Pozieres. L/Cpl. 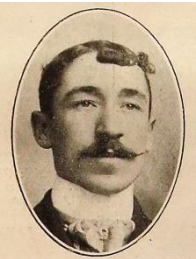 F. Dickenson [R] disappeared in yet another German counter attack. 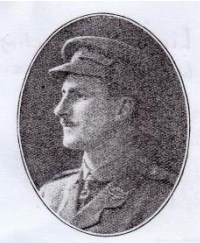 On 25 August the 5 th Glosters were thrown into the attack and Lt. Lionel Watson Moore [TA] was killed somewhat heroically leading a trench raid. (His body, however, disappeared in the second Battle of the Somme, 1918.) On the last day of the battle, back at Delville Wood on 3 September Tewkesbury lost its first conscript, Pte. H. A. Greening [C]. Gunner William Henry Jones [V] then succumbed after fighting through the 65-day slog on the Somme. The last August death was that of Cpl. A. H. Askew [TA] during a diversionary attack to the north at Fromelles. Using less experienced Territorial soldiers to assist Australians, it was a costly failure. Yet the 65 days had resulted in some success – the capture of the higher ground. The advance, however, had to continue for another 76 days, costing the lives of 8 more local men.